The National Communications Authority issued a press release on OTT apps in May 2016. The press release stated that the Authority intends to issue regulations on OTT apps due to the “lack of regulations also poses a threat to security and safety because of the very nature of the communications sector” (link). The press release acknowledged the role of OTT apps in driving data usage, but also stated that operator revenues were negatively affected by OTTs and that the situation had to be assessed. At this point, no regulations have been proposed. The Ghanaian mobile market is dominated by MTN with around 48% of subscribers as of September 2017. MTN provides detailed financial information to the public as part of its MTN Group filings, which are expressed in South African Rand. The volatility in revenues and costs expressed in South African Rand is due to exchange rate fluctuations. 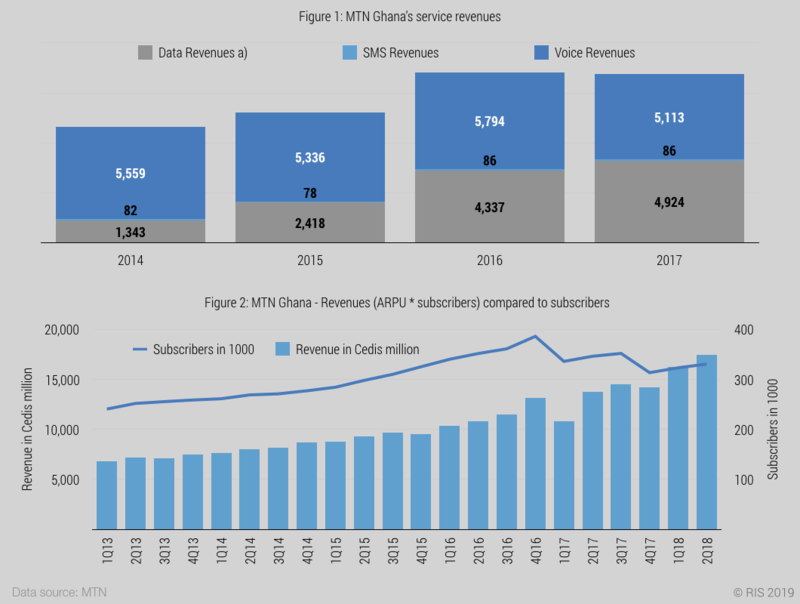 In local currency (Cedis), revenues for MTN Ghana have increased steadily, with the exception of Q1 2017, where 3.4 million subscribers were disconnected as a result of a review of subscriber definitions (link). The EBITDA margin hovers around a very healthy 40% for the past three financial years. 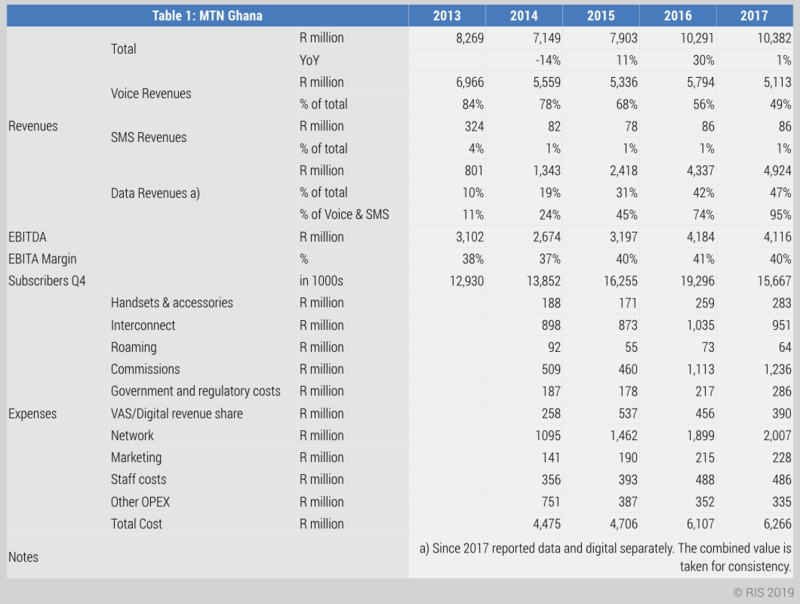 MTN’s data revenue has been growing strongly and made up 95% of voice and SMS revenues in 2017, from 11% at the beginning of 2013. Generally Ghana has good mobile broadband network coverage with 80% 3G and 35% 4G in 2017. MNOs are thus able to compensate for any losses in voice and SMS revenues through higher data revenues, which are driven by OTT use. Revenues have increased significantly since 2013. 80% 3G coverage and good 4G coverage means that Ghana is able to take advantage of the transition to data.